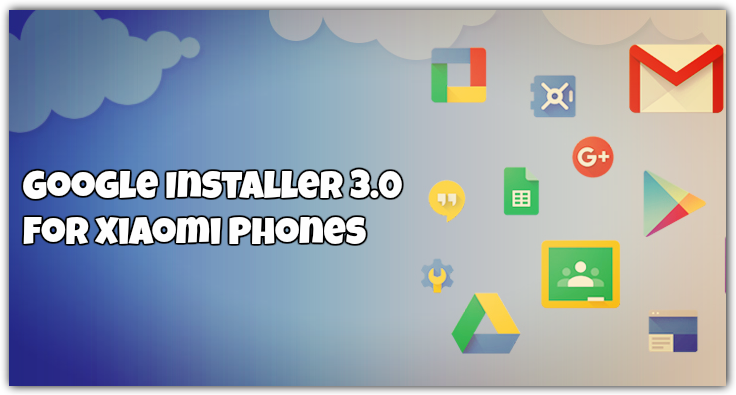 Here in this guide, we are sharing the latest version of Google Installer 3.0 for Xiaomi Phones. Most of the Chinese Phones Like Xiaomi and other don’t have already GAPPS installed. Basically, GAPPS is a package of basic Google Android applications. So to use the Google apps on your Chinese Xiaomi Phone you need to install them separately. And sometimes most of the Xiaomi phone users don’t know how to install the Gapps on the Android Phone. If you are the Xiaomi Phone user and want to install all the latest Google Application on your MIUI Android Phone. So this guide is for you, here you can learn how to download Google Apps on your Xiaomi MIUI phone. This guide is only for the Xiaomi phone users and don’t try this method on any other devices. All you have to download one apk file on your phone and you are done. If this guide will not work you, then you check our previous Gapps Guide here. One of the safest method to install the GAPPS on Xiaomi phone. No need to root the phone or unlock the bootloader of the phone. So lets get started and download Google Installer 3.0 for Xiaomi Phones. 1.1 How to use Google Installer 3.0? All credit goes to the developer Eric Xiang for creating this Awesome app to install Google Apps and all the Google Framwewroks with this simple apk file. This latest version of Google Installer will work on any Xioaomi phone, and the best part of this app is you don’t have to unlock the bootloader of your phone to install the Google Apps on your phone. How to use Google Installer 3.0? The method is simple and complete in 3 steps. 1. Download Google Installer .apk on your phone and install the same on your phone. 2. Run the app and select the required Google Applications from the list. 3. The installation will start. Simple as that. If you still confussed how to use thuis app then check ou our detailed Guide here to install Gapps on MIUI phones. So this the safest and quickest method to install all your favorite Google application on your Chinese phones. Just run one app on your phone and select all the apps which you want to install. Simple. It seems this installer is for MIUI 9 not 10. Error comes “can’t downgrade” . I guess instructions were not clear and I uninstalled previous GAAPS versions in Hope of enabling install. Now list ability to fun most applications.